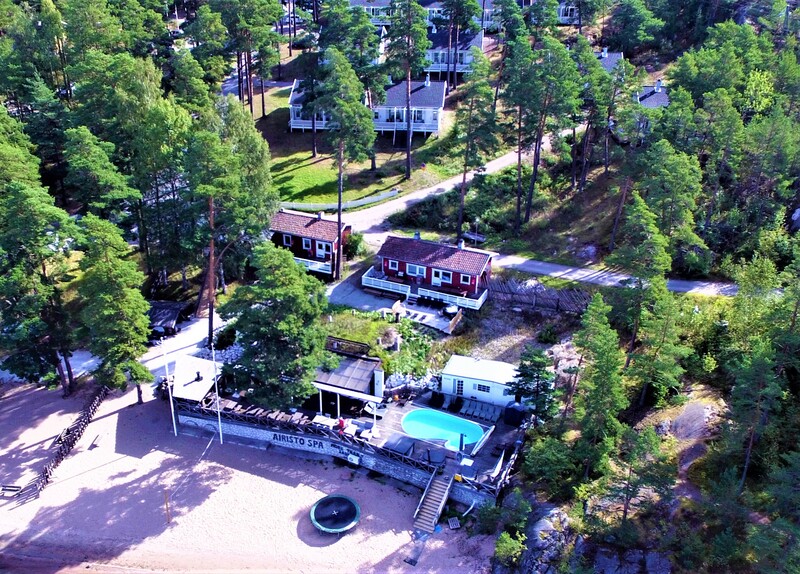 Do you want to leave your cares behind and have a holiday in a nice archipelago landscape? Or maybe arrange a bachelor party with all the trimmings for a larger group? In the area surrounding the archipelago, through our partners, you find hotel accommodations and quality cottages and villas for private as well as for corporate events. In the future, we will build more good quality cottages with ocean views. 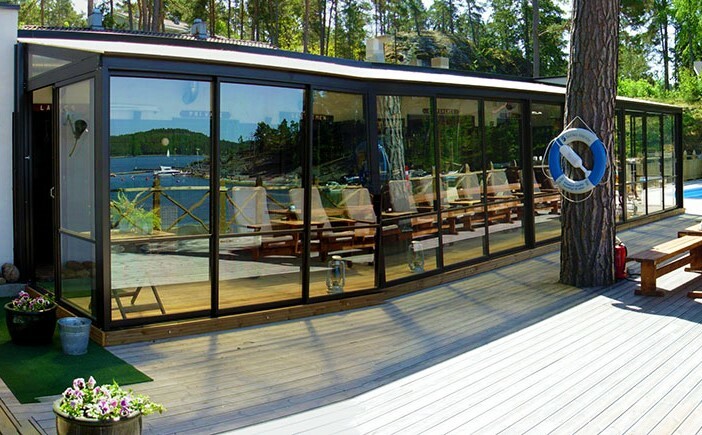 Villa Constantine is beautiful, well-appointed island estate (Pargas Mielisholm) right by the sea. With beautiful archipelago decor. 100m coast (beach n.30m). A short ferry ride (Våno ferry) at the end of the road. 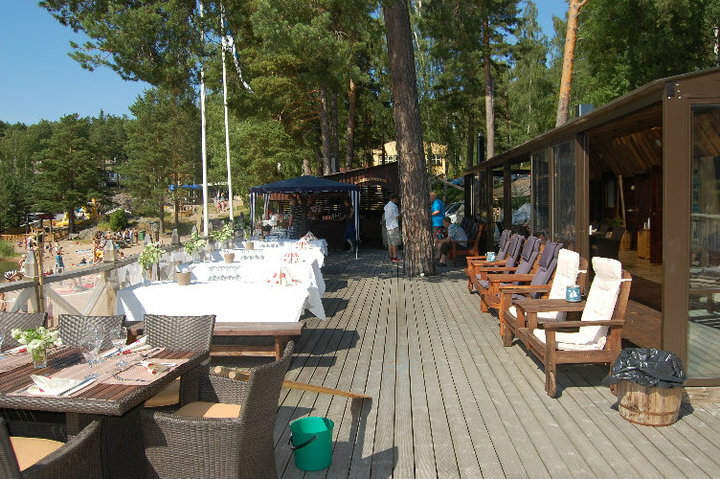 Bedrooms: 2 x 2 people (with two beds that can be used separately or together, one with bunk beds), 4 x 1 hh (small attic with futon beds – 120cm) + bed sofa in the living room and a lakeside sauna. Fully equipped kitchen with eg. gas stove, wood traditional stove, induktiohella, convection oven, microwave, dishwasher, toaster, coffee maker, kettle, fridge, freezer, ice maker, blender, and groceries. Fireplace, air pump, wireless Internet, TV, CD player, i-Pod docking station, printer. 47 inch SmartTV with Netflix (films) + Bose amplifiers. Ekowc inside – can be used with water, shower, washing machine, tumble dryer. Separate wood / electric shower sauna, outdoor hot tub. Outhouse. Baby cot and potty available. Gas and charcoal grill, “Muurikka” and smoke owen. Family friendly sandy beach, two docks, trampoline and other toys for children (nearest neighbor is the Våno ferry). We also offer many different activities, both easy going and action packed, for both small and large groups. Experience the charm of speed on a rib-safari, or set the topic for the upcoming dinner at a professionally guided fishing trip or experience what it feels like to jump in the water among the ice floes wearing a survival suit. Airisto Spa’s activities are exceptional and an unforgettable way to experience what the archipelago has to offer. The desired activities can be connected to our other services we offer as well, or they can be enjoyed as such. Our activities offer challenges and are really testing for both active adventurers and for enjoyment seekers. You can freely combine different options or just select some of the ready-planned products. The choice is yours, Airisto Spa takes care of the rest. Guided fishing trips in the Turku archipelago, especially business -oriented ones are among our specialties. 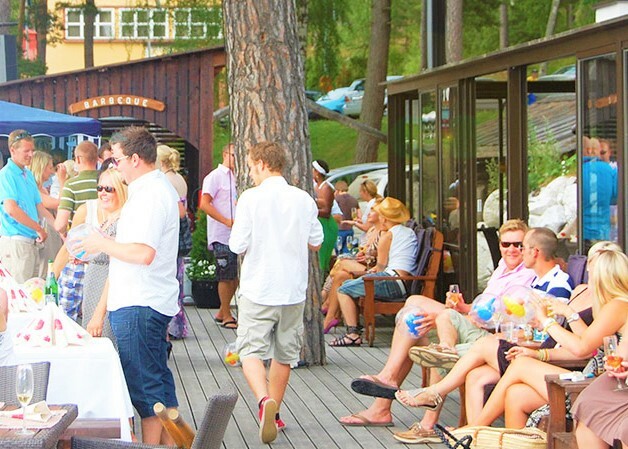 With years of experience we are arranging well functioning packages even for more demanding groups. Our professional fishing guides are multilingual and understands the local conditions. 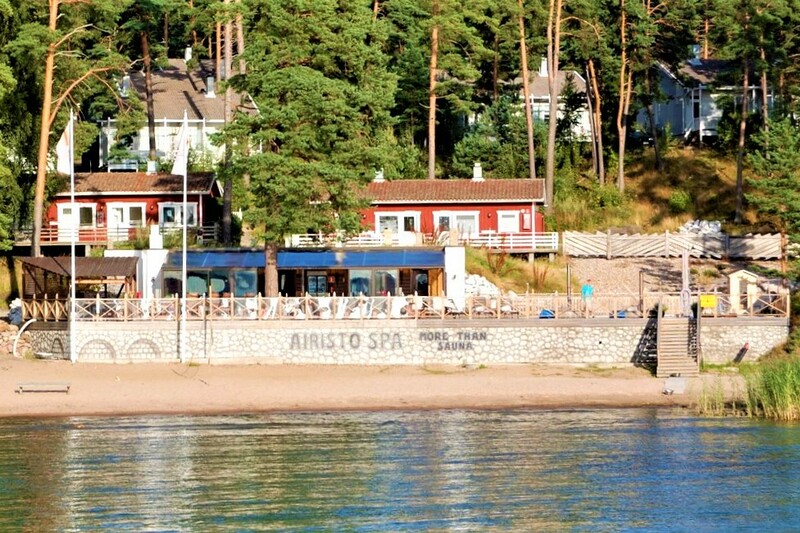 We offer you a high quality private sauna with access to a sandy beach where the sun shines all day and evening. This crowning touch is our authentic smoke sauna and hot tubs. All this in a discrete manner, one group at a time, throughout the yearWe also offer many different activities, both easy going and action packed, for both small and large groups. Experience the charm of speed on a rib-safari, or set the topic for the upcoming dinner at a professionally guided fishing trip or experience what it feels like to jump in the water among the ice floes wearing a survival suit. 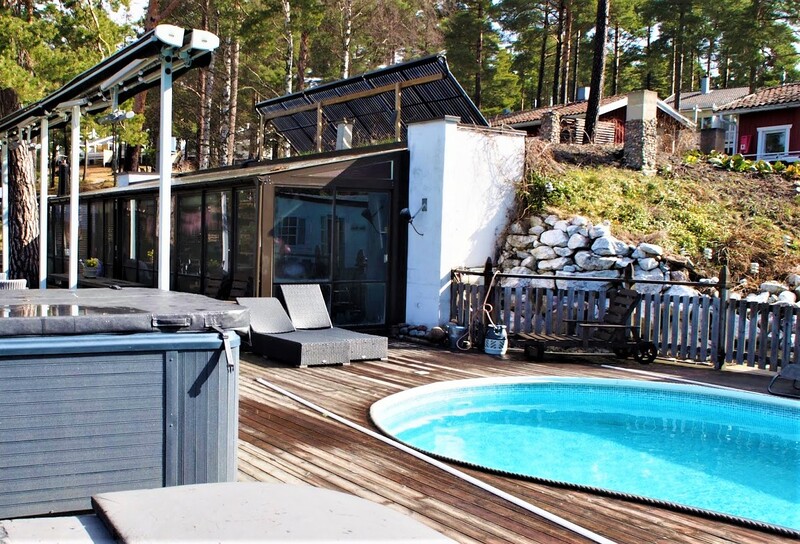 Whether you are looking for accommodation in the archipelago, relaxation, experiences, conference services or for a place for the bachelor party, welcome!